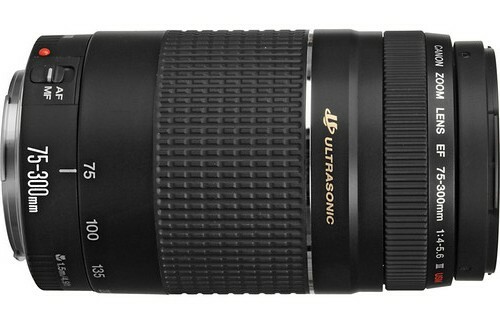 Priced at $235 range this is one of the two 75-300mm lens that Canon offers. The other being the EF 75-300mm f/4-5.6 III. This lens is designed for the wildlife photographer however the build quality betrays it. This lens does come with Ultra-Sonic Motor (USM) but it is Micro-motor type and not the better Ring-type that Canon uses for its L series lenses. 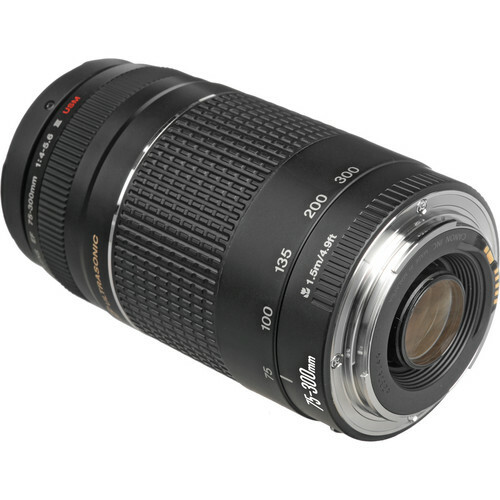 This lens is suitable (though not the best option always) for wildlife and nature photography enthusiasts. To its advantage the lens is light weighing only 480 grams but the disadvantage is that the lens does not have image stabilization feature like EF 70-300mm f/4.0-5.6 IS USM Lens, which means hand-holding when fully zoomed out would pose a lot of problems, unless you use a tripod. Focusing speed is reasonable but not extraordinary. Overall build quality is a shameless reflection of the price at which the lens retails. The external areas are almost entirely made of plastic. Canon’s L series lenses are known for their overall great quality and this is no L series lens. 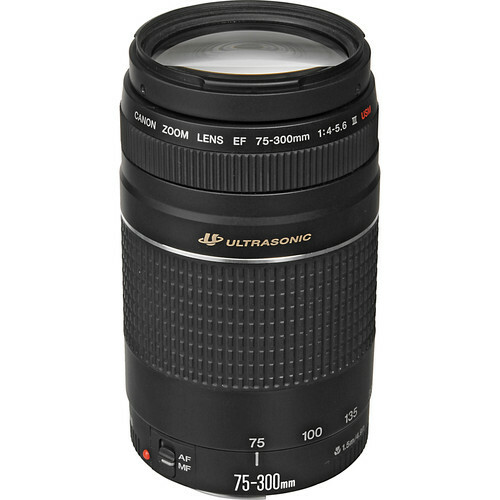 If you are after for both image & build quality, you might consider EF 70-300mm f/4-5.6 L IS USM Lens, EF 70-300mm f/4.5-5.6 DO IS USM or even balanced EF 70-300mm f/4.0-5.6 IS USM Lens. However this lens is not suitable for any sort of rigorous use for which it is meant. The closest focusing distance of the lens is 1.5 meters or 4.9’.